Was there an outbreak of illness at a ClubHotel in Boa Vista, Cape Verde? Was your ClubHotel pool clean or riddled with cryptosporidium, giardia etc? Did you suffer food poisoning and gastroenteritis in Cape Verde? Looking for a specialist claims services because you were ill on holiday in Cape Verde? UK tour operators who organise package holidays to Cape Verde are responsible for your holiday arrangements, and they have a duty to ensure your health, safety and welfare. If you are at a hotel and you are served raw and contaminated food, or if bacteria is lurking beneath the pool water and you suffer a holiday illness, your tour operator is responsible. You have 3 years from the onset of your illness to start court proceedings against a UK tour operator, provided that your holiday to Cape Verde was sold as a package. Children have 3 years from the date they reach maturity to commence court proceedings. If you have been ill on holiday in Cape Verde, whether at a RIU or Iberostar ClubHotel or at another hotel due to the fault of your tour operator then speak to a travel lawyer today, and find out about making a 'No Win No Fee' holiday illness claim. You could be entitled to claim substantial compensation if you holiday was ruined by illness. Being ill on holiday with Food Poisoning is an upsetting experience, and every year our specialist Holiday Lawyers are contacted by travellers, returning home from the Cape Verde islands, with complaints of holiday illness caused by unusual parasites or bacteria strains. Our Cape Verde Holiday Claims Lawyers regularly pursue compensation claims for victims of sickness caused by unsanitary hygiene conditions. Cape Verde is a developing tourist destination and unfortunately illness caused by bugs such as Salmonella, Cryptosporidium, Giardia Lamblia, Shigella and E. Coli are quite common. If you or a member of your family has been ill after a holiday in Cape Verde, call now for free advice or send details of your claim using our online enquiry form. Our Holiday Claims Lawyers win compensation for victims of illness and Food Poisoning at hotels in Cape Verde. Suffered illness in Cape Verde - if your holiday was supplied by a UK tour operator as a package and you suffered from an illness such as Giardiasis or Shigellosis on holiday speak to us today, and find out how we can help you. 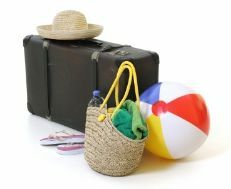 See which hotels our Lawyers are following by visiting Holiday-Hotel-Watch and our Salmonella on Holiday Blog. Find out which hotels in Cape Verde holidaymakers have reported being ill at. We investigate hotels in Cape Verde where UK holidaymakers are falling ill with sickness and diarrhoea! 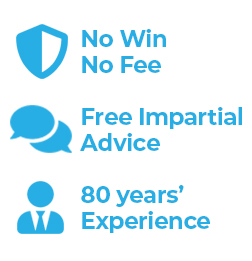 Simpson Millar LLP is associated with HolidayTruths.co.uk – the UK's leading and impartial holiday review and chat website. Visit Holidaytruth, Holidaywatchdog, and Tripadvisor to find out if your hotel in Cape Verde has received complaints about a spate of illness or sickness outbreak and read what other travellers have to say.